Meahgan Whalen RMT, Trisha Taylor RMT are certified in Lymphatic Massage. Lymphatic Massage – also known as manual lymphatic drainage (MLD) – is a highly specialized and gentle massage technique used to increase lymph flow and encourage the natural drainage of the lymph from the body tissues. It is a very safe and effective technique that is useful for many conditions where lymph flow may be compromised, such as lymphedema, swollen limbs caused by a variety of different things, in diabetics, sports injuries, post surgical, etc. For example, many clients require lymphatic therapy or lymphatic massage to treat the increased swelling and lymph accumulation that occurs after a mastectomy, or other surgical procedures, especially those where lymph nodes may be removed or damaged. 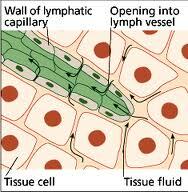 The lymphatic system relies on intrinsic contractions of the cells that line the walls of the lymph vessels, as well as the contraction and movement of skeletal muscles, to propel lymph through the vessels and to the lymph nodes. From these nodes the lymph travels to the lymph ducts, which return the lymph to the cardiovascular system. Manual lymph drainage uses a small amount of pressure (<9 oz per square inch) and rhythmic movements to stimulate lymph flow. Treatment may also include specific exercises prescribed by your lymphatic therapist, breathing techniques, and compression garments or self-bandaging techniques to further promote lymph drainage after therapy and between treatments. Developed in Europe in the 1930′s by Dr. Emil and Estrid Vodder, Manual Lymph Drainage (MLD) is a safe, effective, yet gentle approach to cleansing the body’s tissues. MLD drains excess fluid from the tissues and also has a detoxifying effect. It is beneficial to healthy individuals, and can be used to effectively treat a variety of different conditions. The therapeutic effects of manual lymphatic drainage is well documented and prescribed by top physicians in Europe, Canada, and the United States. Lymphedema is the swelling of a body part, most often an extremity, resulting from an accumulation of fluids. This swelling is enough to be both visible and palpable. Lymphedema occurs when the lymph vascular system is not able to fill its functions of reabsorption and transport of the protein and lymph load. Lymphedema occurs whenever lymphatic vessels are absent, underdeveloped, obstructed, or damaged. Lymphedema can cause decreased mobility, pain, discomfort and often repeated episodes of infection, cellulitis and lymphangitis. This can lead to depression and a general worsening of the patient’s quality of life and health. Lymphedema can occur when a stagnation of protein develops in the tissue. This raises the colloid osmotic pressure and a protein rich edema arises. There are more protein rich fluids in the tissue than can be transported and the proteins attract water by osmosis. The affected area becomes swollen, enlarged, and uncomfortable. This swelling decreases oxygenation of the tissues, interferes with their normal functioning, and makes them heal slower than normal. The excess protein also serves as a stimulus for chronic infection and can result in formation of excess fibrous tissue. Lymphedema is a chronic condition and if left untreated, it can progress. It can, however, be brought under control and managed with appropriate treatment and care from your lymphatic therapist. Lymphedema may also be due to primary (congenital) causes or secondary causes (caused by a known condition), including removal of the lymph nodes or trauma. Lymphedema is a serious condition where the lymph system is unable to handle the lymph load of the body. Treatment should begin as soon as lymphedema is diagnosed. The goal of treatment is to reduce the swelling and facilitate the flow of lymph fluid to the venous circulation of the affected area. The most effective approach used by therapists in many European countries is a method called Combined or Complex Decongestive Therapy. Combined Decongestive Therapy includes Manual Lymph Drainage, compression therapy, remedial exercises, creating techniques, and skin hygiene. 1. Lymphatic Therapy – patients receive Manual Lymph Drainage to remove excess fluid and protein. 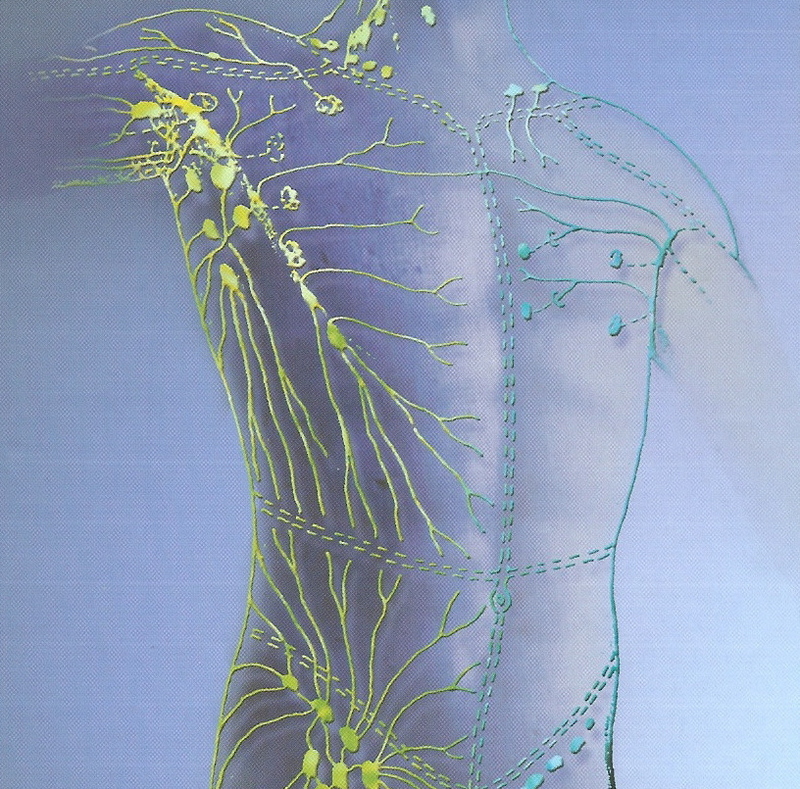 The MLD is performed to open lymphatics in the unaffected regions so these can help to train the affected area. MLD stimulates lymphangions to increase their activity, which results in a decompression and emptying of obstructed lymphatic channels. 2. 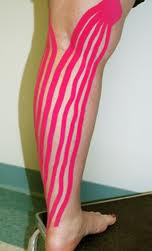 Compression Therapy – Bandaging of the affected limp follows each MLD session. This is a precise and accurate procedure using specific bandages and interfacing materials. 3. Remedial Exercises and Breathing – this further promotes venous and lymphatic flow by activating the muscle and joint pumps. 4. Skin Care and Hygiene – excellent skin cleansing with antibacterial washes and neutral balanced pH lotions will help to eliminate bacterial and fungal growth and so minimize the possibility of repeated attacks of cellulitis and/or lymphangitis. Unlike the blood which circulates, lymph only flows one way. The lymph vessel system carries away tissue fluids as well as metabolic waste from the tissue. Lymph is a clear colourless fluid which originates int he tissue spaces. Excess fluid and proteins from the tissue channels are collected by the initial lymphatics which are in the dermis of the skin of the affected area. The lymph is transported rom the initial lymph vessels by pre-collector and collector lymph vessels. These are made of segments called anions and the larger collector lymph anions have smooth muscles which pump the lymph forward. Lymph, in passing from one region of the body to the next, passes through regional lymph nodes, where cells, micro-organisms and tissue debris are filtered. The lymph enters the bloodstream at the venous arch before entering the heart. It is crucial for the lymphatic system to function efficiently. If the lymph pathways become congested, damaged or blocked, or lymph nodes are removed or irradiated, more and more proteins build up in the tissue, without the lymphatics being able to remove them. Thus a protein rich edema forms – lymphedema. Primary Lymphedema has no known cause. Milroy’s disease is a familiar lymphedema which is present at birth. Meige’s disease is similar but appears no later than puberty. LYMPHEDEMA PRAECOX is the most common form of primary lymphedema. This begins in adolescence and occurs predominately in females. 75% of primary lymphedema is praecox. Secondary lymphedema is an acquired condition resulting from loss or obstruction of previously normal lymphatic channels. The most common cause of secondary lymphedema is due to removal of lymph nodes, as part of surgery for malignancies. The lymph pathways can be interrupted by radiation, surgery, injury, or blockage with parasites. Trauma or radiation can tear a major lymph trunk or cause the production of excess fibrous tissue, which later constricts the lymph vessel. Lymphedema may also occur as a result of chronic venous diseases, which always involves the large lymphatic vessels that run beside the veins. Lipedema is a condition where changes in cellular function of adipose cells lead to fatty tissue edema, thickened collagen fibbers, venous stasis, and lymphostasis. Lipedema occurs more frequently in women and appears at certain locations such as the thigh, buttocks, lower abdomen and sometimes the arms. Hands and feet are unaffected and remain slim. Lipedema occurs in phases and is painful in the advanced stages. It frequently exists in combination with venous edema and/or lymphedema. During the past several years various techniques of elastic taping have become popular adjunct treatment modalities for lymphedema. While elastic taping has been applied for many years to treat conditions such as sports injuries or orthopedic problems, recent studies and patient reports indicate that this technique may also be a useful tool in the treatment and management of lymphedema. 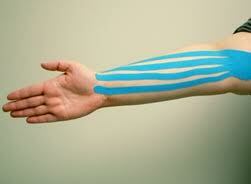 The original technique, Kinesio Taping, was developed in the 1970s by the Japanese chiropractor Kenzo Kase. Based on this original technique a number of other taping variations have evolved, and different taping products were developed by a number of manufacturers. All taping products have very similar properties; manufactured with woven cotton fibers, the material has characteristic stretch properties that closely resemble the stretchability of the skin. It is held in place by a hypo-allergenic and latex-free medical-grade acrylic adhesive, which is heat-activated. Perforated with numerous holes the tape allows air to circulate, and while the tape’s cotton fabric will absorb water, the acrylic adhesive next to the skin is waterproof. This enables the patient to shower and swim with the material in place. The idea behind the tape is to apply a gentle lift on the skin, which then allows the lymphatic vessels underneath to absorb and drain lymphatic fluid from the edematous area into an area with sufficient lymphatic drainage. The goal of this method is to re-direct the flow of lymph from a congested area into an area with sufficient lymphatic flow, thus reducing the volume of the edematous area. Elastic tape is available in rolls of various widths, or pre-cut shapes; the length and pattern of the application depends on the individual situation and drainage pattern, and takes into consideration additional barriers such as scars and other defects on the skin. The tape is applied to the skin with slight stretch (just to the tension required to remove the backing) and with the patient’s skin in stretched position. Once the skin returns to the resting position, the tape rebounds, and if applied correctly, rippling convolutions in the tape will become visible. This desired effect deforms the skin and slightly lifts it from the fascia below in order to create a pull force on the filaments anchoring the small lymph vessels within the tissues. This pull force creates openings in the wall of these vessels, which allows more fluid to enter the lymphatic system and subsequently increase lymphatic flow away from the swollen area. By positioning the tape correctly, it is possible to facilitate and channel the lymphatic fluid in the desired direction without restricting muscle and joint movements. Additional stimulation of the lymphatic system is achieved as the patient performs movements in daily activities, or performs decongestive exercises as instructed by the lymphedema therapist. The tape can be worn several days as long as there are no negative reactions on the skin. The fact that elastic tape can be worn underneath compression bandages and garments makes it an attractive addition to the gold standard for the treatment of lymphedema, complete decongestive therapy. It is particularly useful in areas affected by lymphedema where bandaging is difficult, or not possible, such as lymphedema affecting the head and neck (see also link “Use of elastic taping in the treatment of head and neck lymphedema” below). As with any treatment modality for lymphedema, it is important to understand that the tape should be applied by a trained therapist with a thorough understanding of lymphedema. Local contraindications, such as adverse reactions to the tape, radiation fibrosis, wounds, lymphatic cysts and fistulas, as well the risk of damaging the fragile skin of lymphedema patients is a concern to be considered when using elastic taping. The therapist will instruct the patient to properly remove the tape after several days. The adhesive bond of the tape is best broken by holding up an edge of the tape and gently pushing down on the skin to dislodge it from the adhesive. The use of oil helps to neutralize the adhesive, and removal of the tape in direction of the body hair minimizes the risk of skin irritation. After the clinic treatment has been completed the patient is responsible for continuing exercises and breathing techniques. A correctly fitted compression sleeve or stocking must be worn on a daily basis. Self bandaging is done every night before bed. It is advisable to have a check up once a month after the treatment has ended, as well as 6 months later to assess progress. Garments should be replaced every 3-6 months since they lose their elasticity over time.